The Equipe 9 Classic is a high-performance boot with Salomon's renown fit, easy heel adjustment strap and a spoiler for perfect heel hold, as well as precise Pilot transmission. New race oriented graphic. Salomon Sport Fit: Medium volume for maximum foothold, high comfort and precise fit. Will this boot work with Salomon Profil Equipe bindings from around 2004. I have use these bindings with my 2002ish active 9 pilot skate boots. 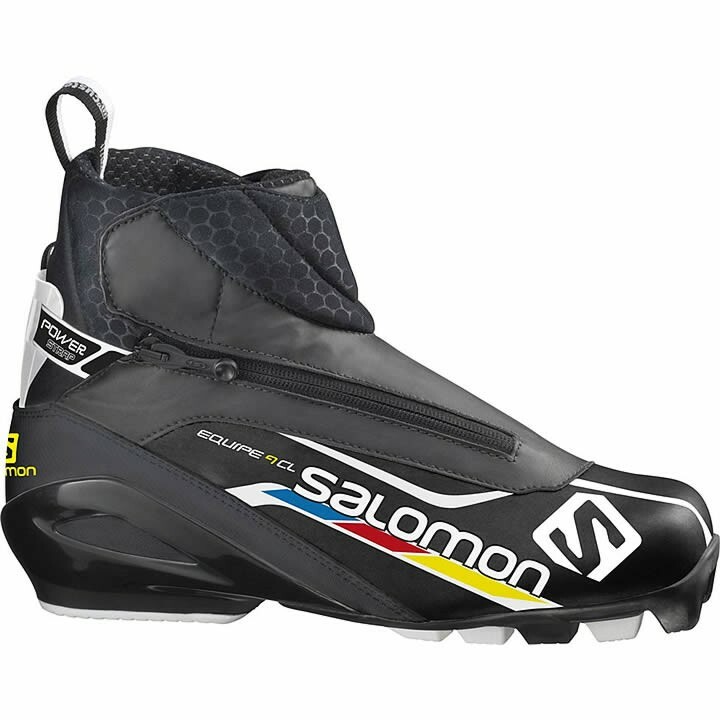 Yes, The 2016 Salomon Equipe 9 Classic CF Boots should work with your 2002 Salomon Profil Equipe Bindings. The bars on the bottom of the Equipe 9 Classic CF Boots are 25mm wide, 50mm apart (center of bar to center of bar) and 10mm back from the toe and these should all align just fine with your past season Profil Equpie Bindings!